AK012 Streaking grime 35 ml. AK014 Winter streaking grime 35 ml. 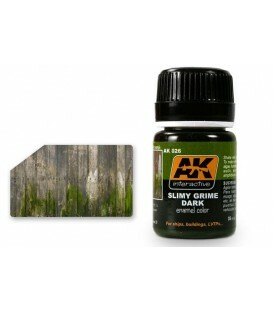 AK024 Dark streaking grime 35 ml. 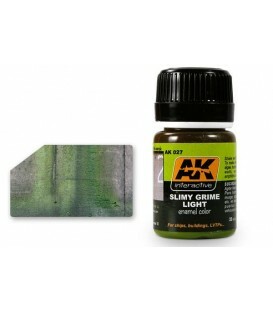 AK027 Slimy grime light 35 ml. 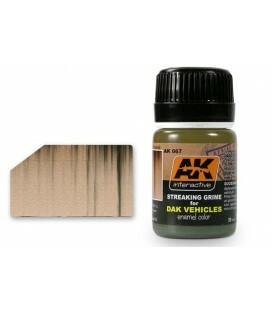 AK067 Streaking grime for DAK vehicles 35 ml. AK069 Streaking grime for Panzer Grey 35 ml. 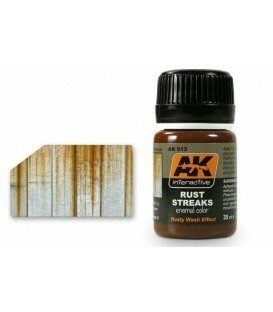 AK094 Streaking grime for interiors 35 ml. 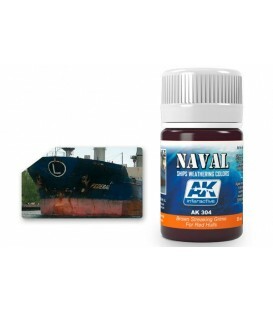 AK2039 Kerosene leaks and stains 35 ml. 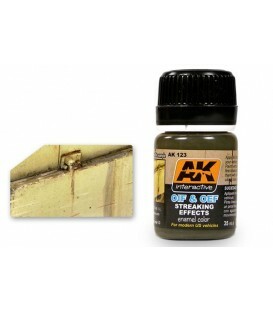 AK123 OIF & OEF - US Vehicles Streaking effects 35 ml. AK304 Brown streaking grime for red hulls 35 ml. 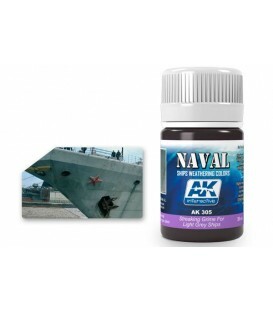 AK305 Streaking grime for light grey ships 35 ml. 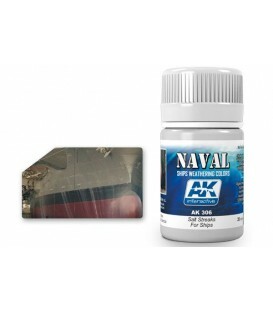 AK306 Salt streaks for ships 35 ml.